Getting a new truck is a time of excitement. As much fun as you’re going to be having with it, ensuring it’s going to stay in good condition for as long as possible is of crucial importance, especially if you plan to sell it at a later point. But even after determining that you need a bedliner, the questions just begin to appear. Should you go drop-in or spray-on? To shed some light on the confusion, we’re going to be looking at them both and make some quick comparisons. The reason is that they contain plastic, which can be damaging to your vehicle. Also, these types of bedliners don’t really excel in in the waterproof department. In comparison, spray-on bedliners like the ones produced by Durabak are as waterproof as they can be, and they’re also fairly resistant against impact and UV rays. If comfort and remaining as hassle-free as possible is an important factor to you, spray-on bedliners are definitely the recommended choice. Drop-in bedliners may be cheaper, but if you’re dealing with a heavy workload day in and day out, you’re probably going to need to have it replaced sooner rather than later. If you’re loading and unloading lots of things frequently, having to constantly worry about not scratching your truck can quickly get old. The same thing can be said if you often find yourself in a situation where you have to leave the truck outside in the rain; without a spray-on bedliner, rust can start forming, which is not something you’d want. With that being said, are there any advantages to drop-in bedliners besides the price? Yes. 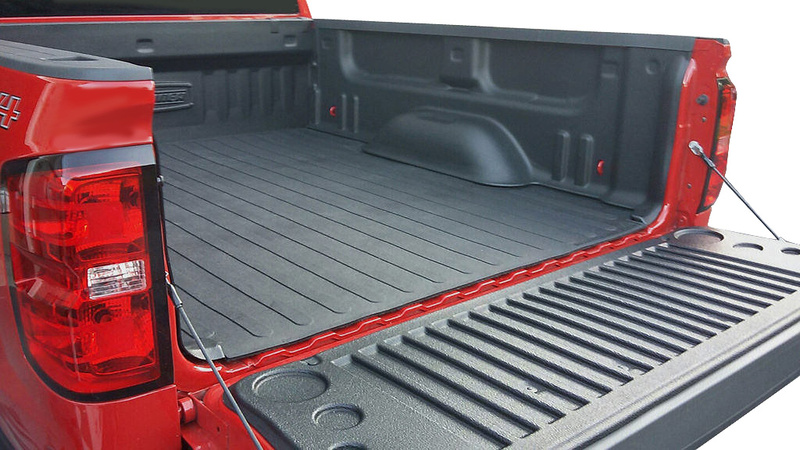 If you find yourself having to slide things in and out of the truck often, drop-in bedliners make sliding easier and more efficient, thus saving you plenty of time and effort. Also, this type of bedliner is easy to install (and replace if you ever decide that you need a replacement). Replacement drop-in bedliners are cheap as well. 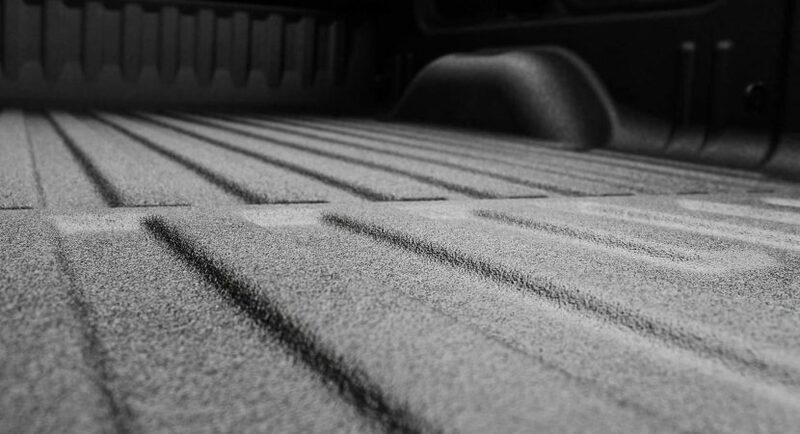 What other advantages do the spray-on bedliners have? Longevity is one of the primary ones for sure. It does cost a bit more than drop-in bedliners, but given that you won’t have to replace it as often, it’s well worth the investment. Also, they are quick to dry, so you will be able to use your truck within a mere day after you apply them. Moreover, most people agree it’s more aesthetically pleasing in comparison. To conclude, only you can answer which option suits you better, but if you’re looking for a durable solution that won’t give in at the slightest hint of trouble, spray-on bedliner is the way to go. Drop-in bedliners are cheaper, but just like most things in life, it’s for a very good reason, so you’re not really facing too tough of a decision. Drop-in bedliners are out and spray-on bedliners are in!